Congratulations! Heres the link to your FREE guide. We have also sent an email with the link in it to the email you provided when you signed up. Before you go, why not check out some of the stories from other Victorians who have taken advantage of our services to get started. Some started their investment journey by booking one of our Kickstarter sessions – and are now holding 3, 4 or even 5 properties! If you are ready to get started, book your very own free, personal kickstarter session and have a no-pressure chat about your invesments aims, specific circumstances and explore the possibilities. Why not organize a Kickstarter session today and discover what’s possible. These clients have done it - you can too! If you are struggling to know where to start, you’re not alone. Most of our clients felt exactly the same way. And like them, you can get started with a single step – booking a non-sales, free kickstarter session with us. If you have $65,000 or more equity in your home, you might be missing an opportunity to start building your portfolio and moving toward financial security. Book your session and find out what’s possible. 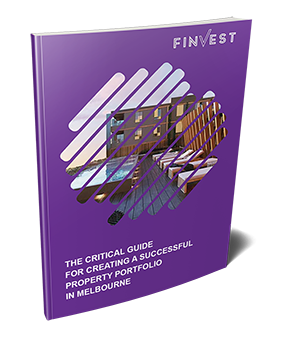 Finvest has access to a unique portfolio of investment units, townhouses, and house & land solutions. This portfolio is always changing as new opportunities are added. Our investment opportunities span metro and regional areas, and include investment hotspots in Melbourne’s inner, middle and outer suburbs. Our team don’t just advise you – we help you develop the essential skills and knowledge you need to manage and grow your portfolio. Our clients enjoy ongoing guidance sessions and access to our panel of established industry experts. We will show you how to confidently negotiate property purchases and share simple yet critical techniques for using property to create and retain income. Perhaps its time to get started. The first step toward your independence is as simple as a mouse click. Book your obligation-free Investment Kickstart Session today.